The Malaysian island of Langkawi is a duty free island situated in an archipelago made up of 99 islands in the Andaman sea. It lies approximately 30km off the Malaysian mainland and 42km from Koh Lipe. 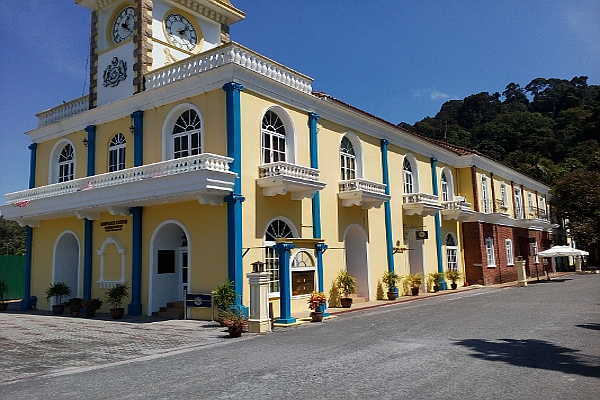 Langkawi is served by an airport and it is an excellent hub in order to access Koh Lipe. 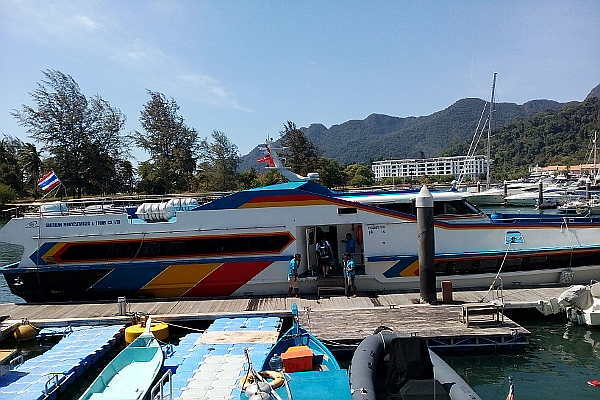 Ferries depart from 2 Locations on Langkawi: Telaga Terminal at Telaga Harbour Marina, Pantai Kok and Kuah Jetty. The two Jetties are 27km away from each other. Important note: The ferries do not run all year round. They only operate during the High Season. The Langkawi to Koh Lipe ferry from both locations takes approximately 90 Minutes to reach Koh Lipe. Langkawi to Koh Lipe 2018 – 2019. All of the following information regarding times, was correct at the time of writing. I have updated this guide to cover the 2018 – 2019 high season. Situations can change quickly however, and the times/dates for ferry crossing are subject to change at any time. You can book with 12goasia in search box below for peace of mind. They offer booking services for flights, ferries, trains, busses and more in Thailand and throughout Southeast Asia. Also by clicking on the “learn more” buttons below you will be transferred to two of the operators who offer services between Langkawi and Koh Klipe and Koh Lipe to Langkawi. They provide up-to-date prices and timetables on their websites. We will also update published times as they are released. Ferries from Langkawi to Koh Lipe. Ferries run daily during the High Season, from Telaga Harbour Marina and Kuah Jetty. 9am, 9.30am, 9.45am, 2pm and 2.30pm Malaysian time. However between certain dates there are also additional ferry services. Please see the full time tables below. Ferries run up to 6 times per day during during the High Season: 10.30am, 11am, 12.30pm, 3.30pm, 3.45pm, 4pm and 4.30 pm Thai time. Please see the full time table below. You will need valid passports and visas as you are travelling between countries. Important note: If you are travelling from Langkawai to Koh Lipe or Koh Lipe to Langkawi you will need to pass through immigration. Immigration is on Pattaya Beach on Koh Lipe and at Kuah Jetty and Telaga Harbour on Langkawai. Just like travelling to any country, passports and visas need to be correct and in order. Citizens of some countries get visas on arrival and for a longer duration than those of other countries. Rules regarding visas can change frequently in Thailand so check here for up to date news. Tropical charters who operate ferries from Kuah Jetty recommend that you arrive 90 minutes prior to departure both for peace of mind and to complete any necessary paperwork. On tickets issued by Telega Harbour it states that check-in needs to take place 2.5 hours prior to departure and that the check-in counter closes 1 hour before departure. There are places to sit and get a drink while you wait.